Fr. John Memorich is a native of Minneapolis, MN who grew up attending Protection of the Blessed Virgin Mary Cathedral (St. Mary’s). 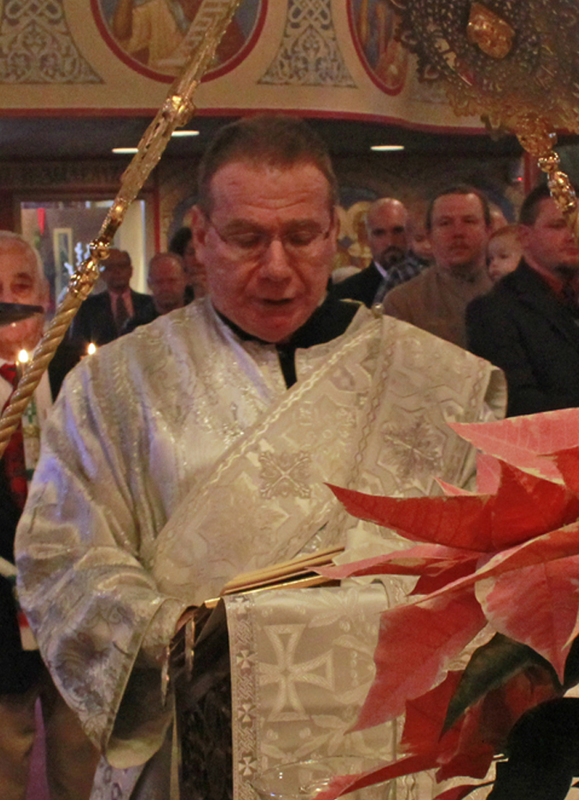 Born with club feet, his uncle, Archpriest John Dzubay, washed his tiny feet with Holy Water and told his parents, “Don’t worry, one day these feet will walk in the Altar.” Not only did this prophecy end up coming true, but Fr. John literally grew up in the altar learning about the Church and how to serve from such noted pastors as Frs. Karp Pateyuk, Vladimir Lecko, Nicholas Timpko, John Matusiak, among others. He attended St. Vladimir’s Seminary from 1982-87, married Jani Abraham (whom he met in high school) in April of 1987, and was ordained to the Holy Priesthood on June 11, 1989. Fr. John’s first pastorate was at Holy Trinity Orthodox Church in the tiny dairy farming community of Clayton, WI, which he served for seven years until being reassigned as rector of Holy Archangel Michael Church in June 1996. Fr. John and Jani have four children: John, Sofia, Nicholas, and Marina. Dennis J. Lucak was born in Cleveland, Ohio on May 13, 1946, and was baptized at St. Michael's church, served as altar boy, and sang in the choir for many years. He graduated from Parma Senior High in 1964, and then attended Ohio state University/Cincinnati College of Mortuary Science/ associate degree, and John Carroll University in the 80s. 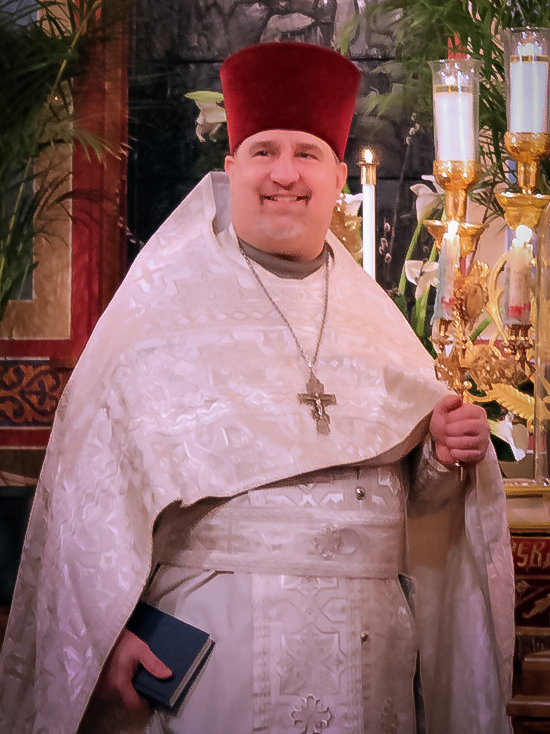 He attended and graduated from the Cleveland Deanery Late Vocational Program in 1997, and was ordained a deacon on March 14, 1998 at Archangel Michael Orthodox Church. Married Helen McCreight at St. Andrew Church on July 17, 1971, they were active members of Holy Trinity Orthodox Church from 1971 to 1987 where Michael and Sara were baptized. They began attending St. Michael's in 1987 where he is currently a member and serving as a deacon. Currently Dn Dennis is enjoying the gym, Lifeworks, traveling, and learning and playing guitar with the Classical Guitar Society of Ohio. 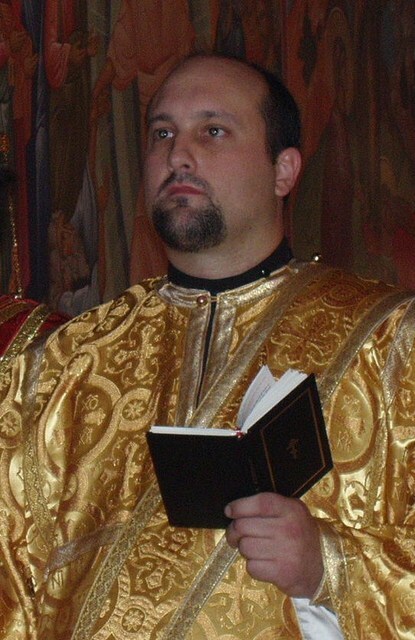 Deacon Daniel Kovalak was born in Cleveland, Ohio and was baptized at Archangel Michael Orthodox Church. As a young man, he served as an altar server. He graduated from Parma High School, then attended the University of Akron where he received a BA in Education. He went on to receive a Masters Degree in Educational Leadership. He and his wife Matushka Catrina have four children: Daniel, Katya, Nikolai and Rebekka. In addition to serving at St. Michael's, Dn. Daniel and Mat. Catrina are also acting directors of St. Vladimir's Summer Camp.